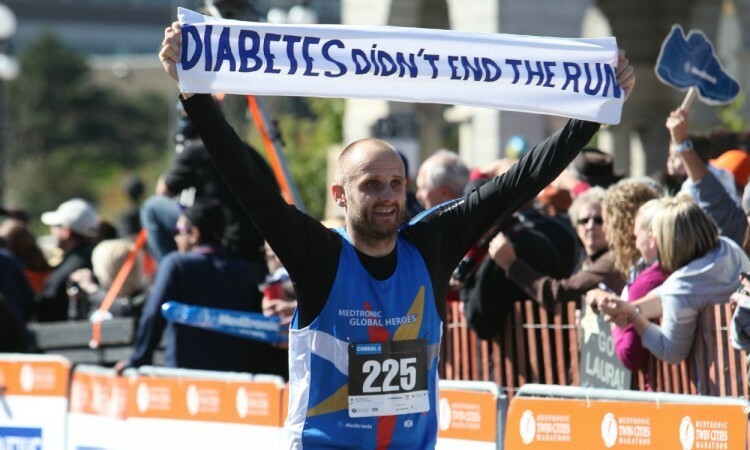 In 2011 he underwent major open-heart surgery but just three years later George Gilbert will continue his journey back to long distance running as one of 25 runners selected to take part in this year’s Medtronic Twin Cities Marathon events as a Global Hero. With a sporting background including representing Great Britain at the World Masters Track Cycling Championships, rowing for Cambridge University and running the London Marathon, Gilbert was left devastated when he was diagnosed with a heart condition which forced him to stop all sport. That was in 2006, with his condition – a regurgitating bicuspid aortic valve and various different arrhythmias – meaning that blood wasn’t being pumped around his body properly. In 2011 Gilbert was given just two years to live, but shortly afterwards he had major surgery which included the fitting of a mechanical valve and now the 39-year-old is getting ready to travel to the US to run in Sunday’s Medtronic Twin Cities Marathon weekend’s 10-mile event. Created to recognise runners from around the world who have a medical device to treat conditions such as heart disease, diabetes, chronic pain and spinal and neurological disorders, the Global Heroes programme returns this weekend for its ninth year. During those nine years over 200 runners representing 28 different countries have taken part in the programme, which – funded by Medtronic Philanthropy – provides each Global Hero and their guest with event entry, travel expenses, food and accommodation. Gilbert is one of two British participants taking part in 2014, with Welsh veteran international Dawn Kenwright – who has an insulin pump to manage type 1 diabetes – running the full marathon which also takes place on Sunday. Serbian runner Ninoslav Raskovic, pictured below, was one of the 2010 Global Heroes. “Life is full of random events outside of our control – it’s what you make of these chances that defines you,” said Gilbert, who went from training two to three hours a day, six days a week, to nothing as a result of his heart condition, which he says took its toll both physically and mentally. “Seemingly bad things happen,” he added. “But through personal perseverance and the determination to make the best of the hand I had been dealt, I now lead a full and active life again. Despite having been diagnosed with such a serious condition, Gilbert explained how he wasn’t afraid to return to running. 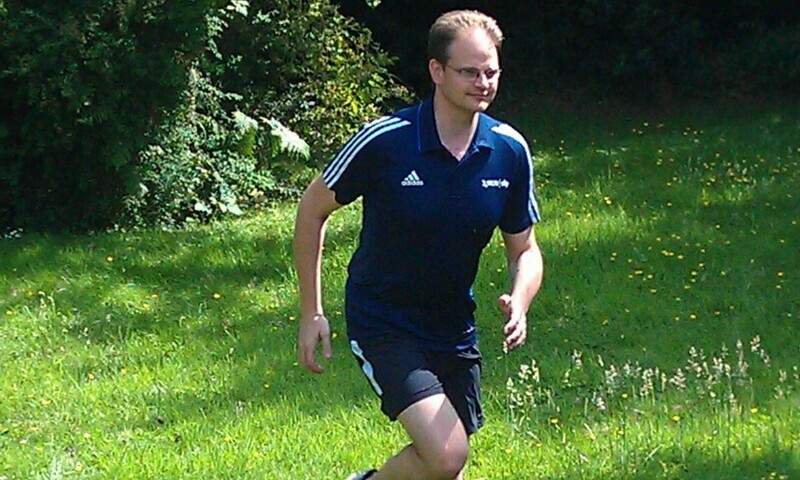 With wide-ranging sporting experience gained over the years, the Cuffley-based runner – who is on British Cycling’s Board of Directors and volunteers as an administrator, official and event organiser within the sport – chose to return to long distance running above anything else because in terms of exertion he says it’s easier to control. “There are several reasons why I chose running over other sports,” he said. “One is because it’s easy to do and it’s low risk. With cycling if I was to crash then because of all the various drugs I’m on my blood doesn’t clot so an accident would be a serious problem. On why he wasn’t worried about a return to running, he added: “My history of being an elite athlete and having competed internationally means I know what pushing my body to the absolute limit feels like. So I can listen to my body and know what hard is and know what easy is and that has been an enormous benefit throughout the rehabilitation phase. Gilbert completed his first race in around eight years when crossing the finish line of the National Lottery Anniversary Run in 2013, going from running around 8:30 minute mile pace prior to his diagnosis to 10:30 minute miles post-surgery. Since then he has also run the 10-mile Bupa Great South Run, with the dad-of-two having improved to roughly 9:30 pace per mile ahead of Sunday’s Medtronic TC 10 Mile. And he doesn’t intend to stop there, either. “It would be good to run a half marathon say next year and it would be good to do at least one other marathon but I’ve kind of promised myself not to push a marathon until I can be confident that I can go faster than I did before,” explained Gilbert, who in London in 2000 ran 26.2 miles in four hours flat.